Breckenridge is full of world-class resorts and globally-recognized ski conditions. 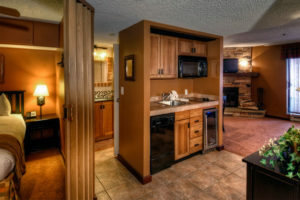 However, not all mountains offer a ski-in/ski-out condo option. See below for our list of favorites. 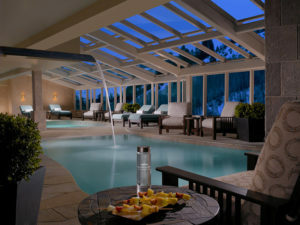 Beaver Run Resort—One of the most luxurious options in the area, Beaver Run boasts a long list of amenities. Their ski-in/ski-out property is located on the ski run above the base of Peak 9, making it a felicitous choice for skiers and snowboarders wanting to make the most of their time in Breckenridge. Beaver Run Resort, Colorado Suite. Photo Credit: Beaver Run Resort. BlueSky Breckenridge—This resort offers both easy ski-in/ski-out access to Breckenridge Ski Resort as well as downtown Breckenridge. A true ski-in/ski-out resort, it sits between Peak 8 and Peak 9, just adjacent to the Snowflake Lift. However, condo-seekers should be warned; there are only 52 residences in this boutique resort, making it both an intimate and exclusive property. BlueSky Breckenridge. Photo Credit: Wyndham Vacation Rentals. Crystal Peak Lodge—Situated at the base of Breckenridge Ski Resort’s Peak 7, this lodge offers guests both ski-in/ski-out access and majestic views of the Colorado Rockies. Guests can also enjoy access to the private bowling alley, aquatics center, and media rooms. Crystal Peak Lodge. Photo Credit: RockResorts. Antlers Lodge—Steps from the Four O’ Clock Ski Run and across the street from the Snowflake Lift, guests of the Antlers Lodge enjoy the convenience of ski-in/ski-out accessibility. If you plan to visit Breckenridge in the summertime, guests can enjoy gorgeously forested hiking and mountain biking trails just through the back door. Antler’s Lodge. Photo Credit: Wyndham Vacation Rentals. 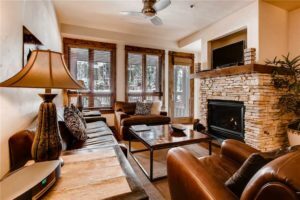 One Ski Hill Place—This is one of the most sought-after ski-in/ski-out condo accommodations in all of Breckenridge. Sitting at the base of Peak 8, this resort offers easy access to the slopes. Additionally, it is connected to the BreckConnect gondola, making trips to downtown Breckenridge fun and easy. One Ski Hill Place. Photo Credit: RockResorts. 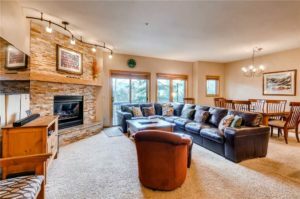 Why Choose a Ski-In/Ski-Out Condo?